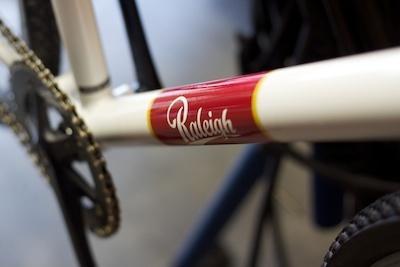 The race is part of Raleigh’s annual dealer new, model year event and is intended to get them excited abut Cross. They can watch, race, and soak in the atmosphere. Also ride demo bikes. The potential of Cyclocross is there and what we’re pushing. We want to show them dealers what a Cross race is all about. As you’ve probably been reading, I’ve been at lots of media/dealer events so far this Summer. July is buying season in the bike business. After this event, I’m at Dealer Camp next week for more blogging and a MTB race (first in two decades). Having never raced Cross in the Summer and just starting to train hard for the Fall, I’ve got no idea how I’ll feel. I’m in the Singlespeed category and racing the Hugga Hodala bike. There’s also big money and a pro contract on the line at this race. Previous Previous post: G+ WTF?